Val Badia (the Badia Valley) lies in the heart of the Dolomites and is one of the five Ladin speaking valleys around the Sella Group. Coming from the Pustertal you'll find the turn-off in St. Lorenzen near Bruneck. The valley has a length of about 30 km towards south and can also be reached coming from the other side over one of the passes of Gardena, Campolongo or Falzarego. 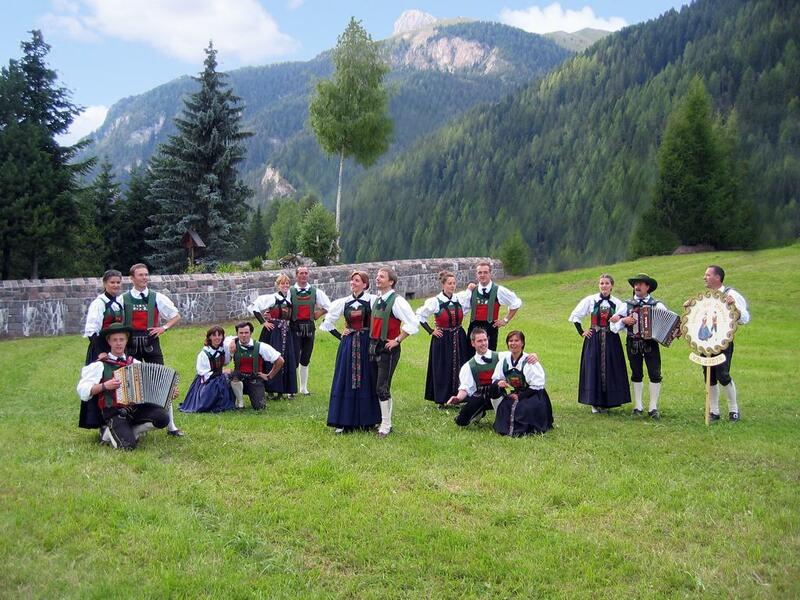 The Folk Dance Group üUniun Bal Popolar Val Badiaü was founded in 1985 by Adalbert and Bruno, two music-lovers, under the patronage of the cultural association "Uniun di Ladins Val Badia". Its official seat is at the Cultural Club House in Badia.